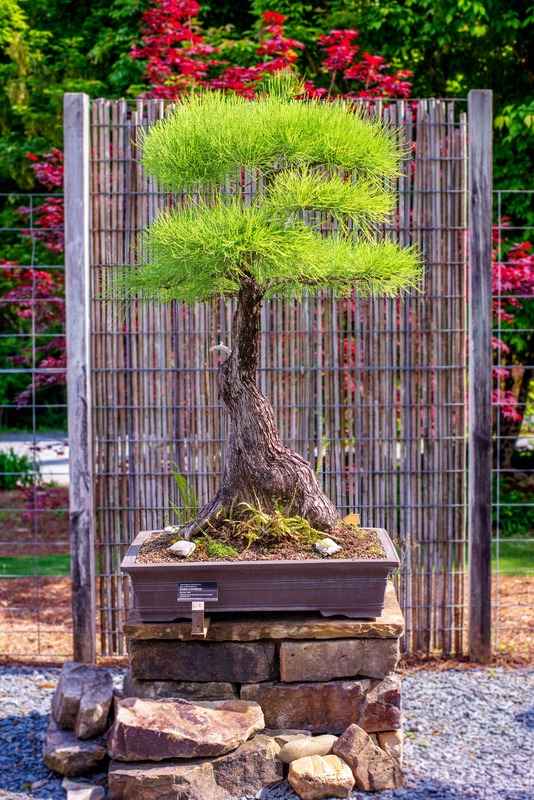 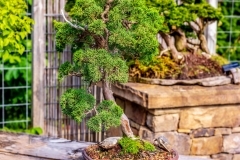 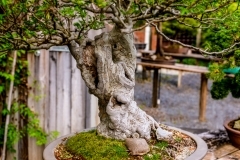 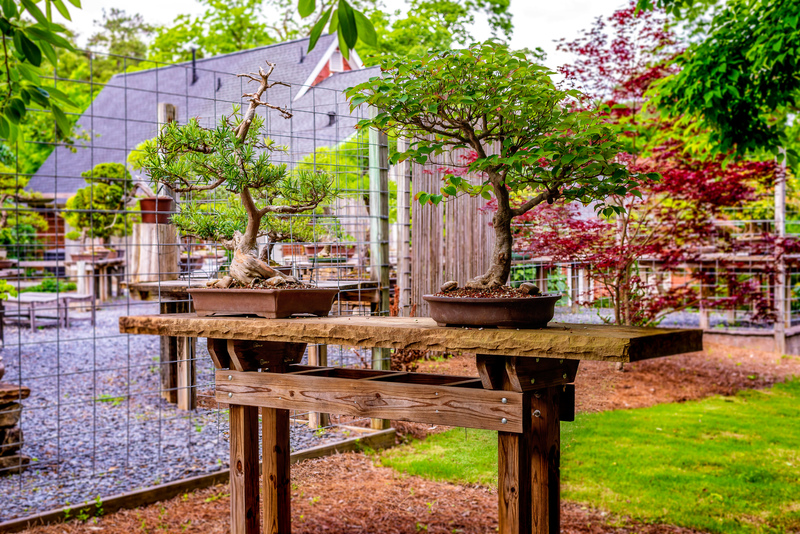 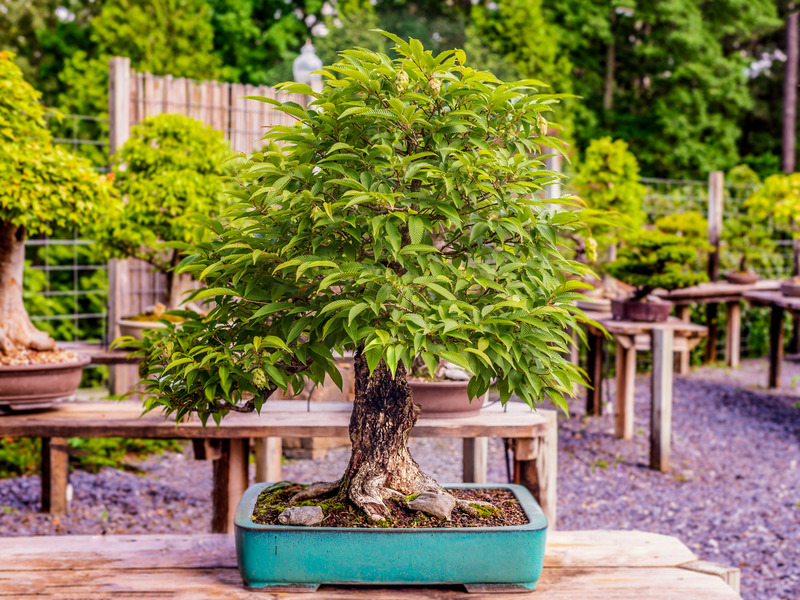 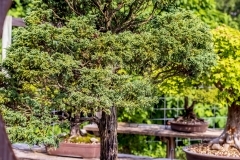 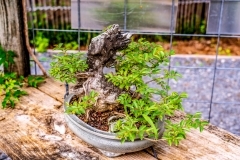 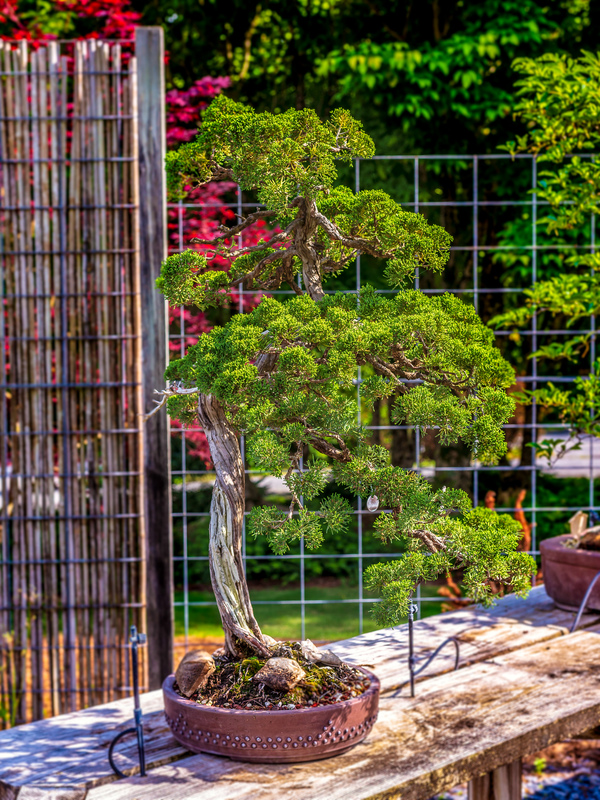 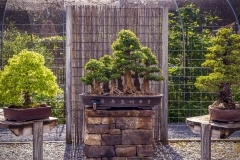 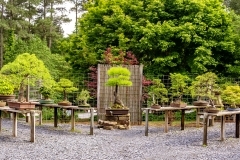 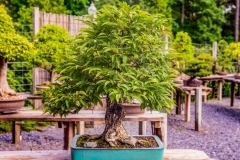 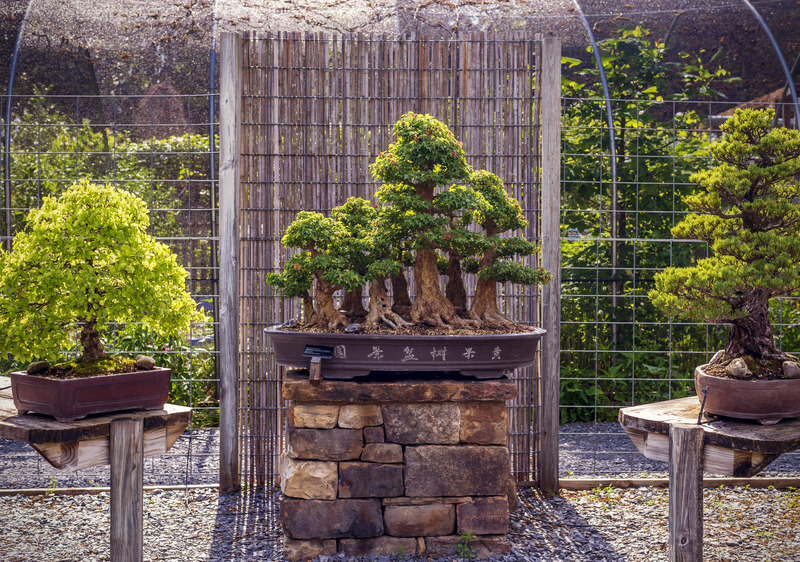 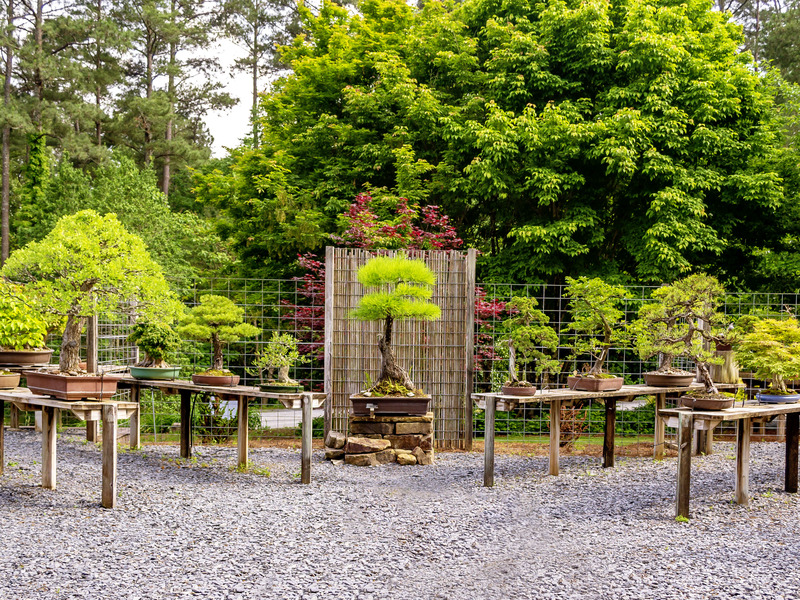 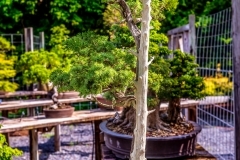 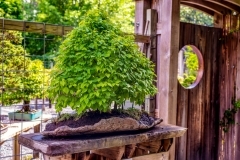 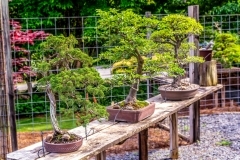 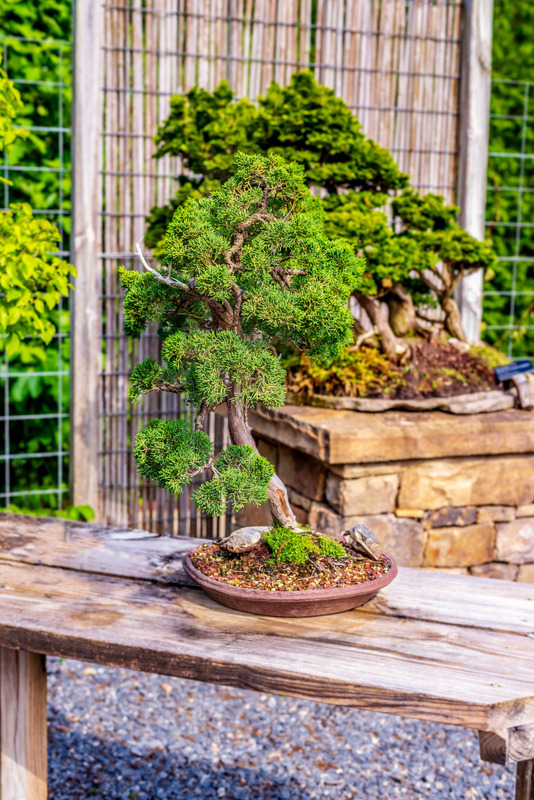 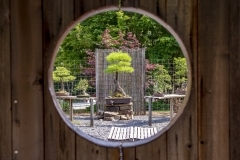 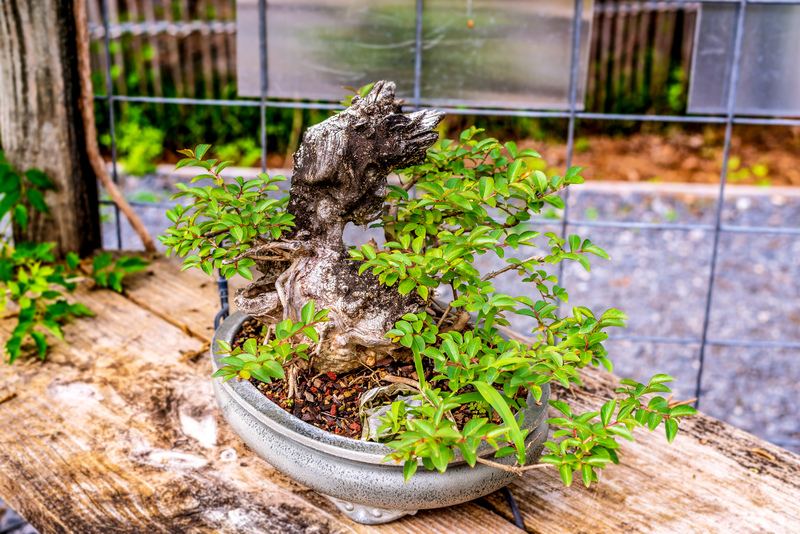 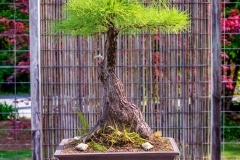 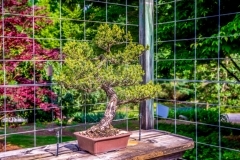 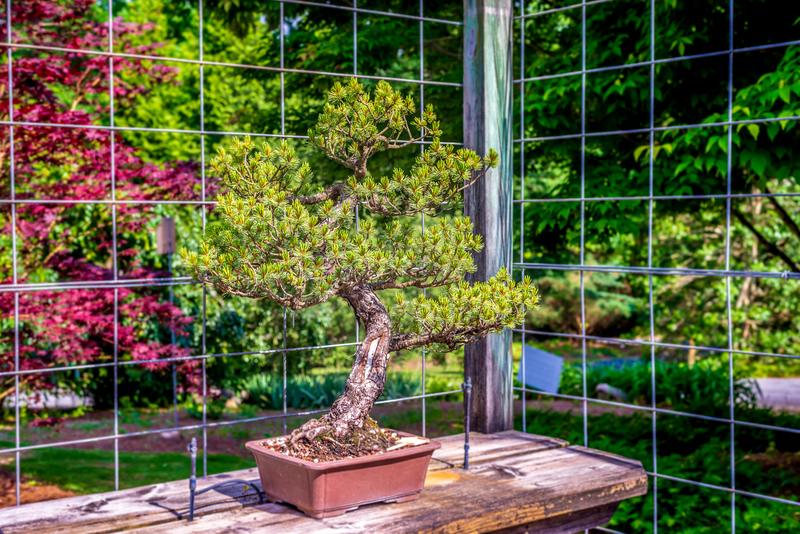 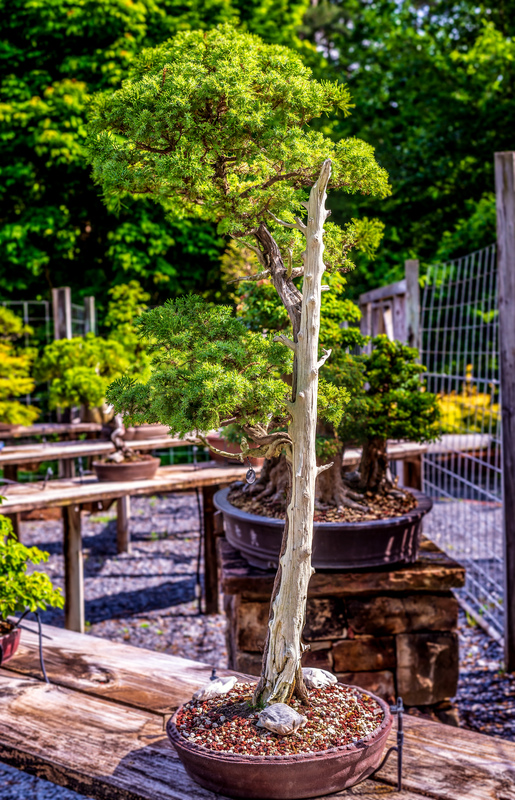 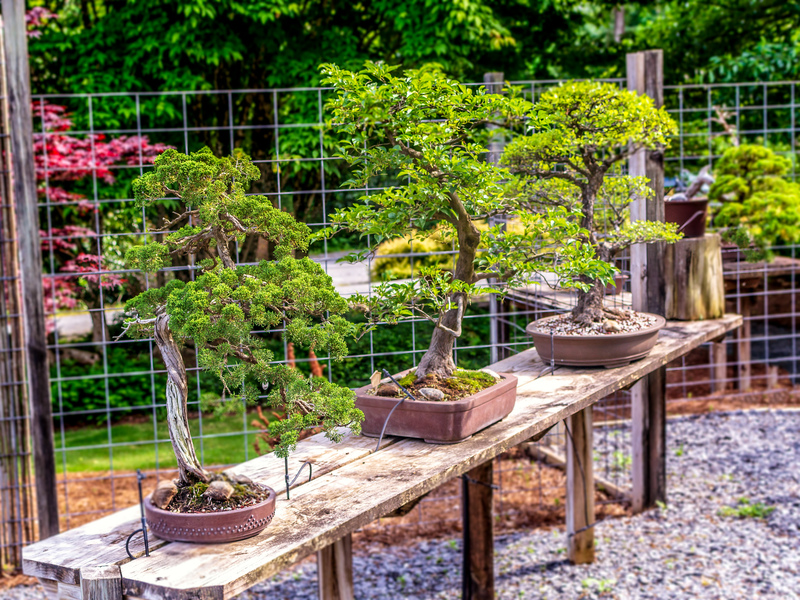 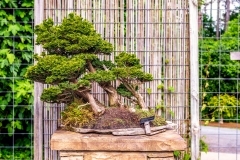 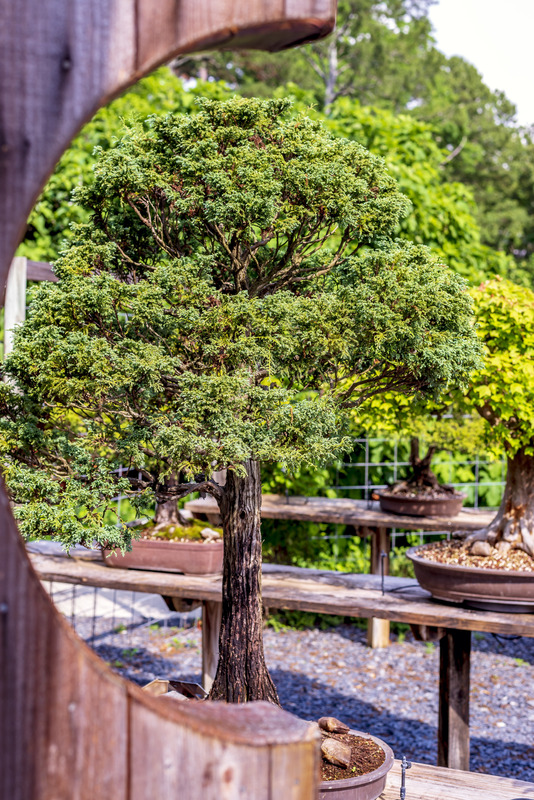 Carefully and skillfully maintained by curator Rodney Clemons and a host of volunteers, the bonsai exhibit at Smith-Gilbert Gardens is a highlight of our collection. 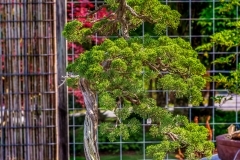 Here, minutes melt into pleasant hours. 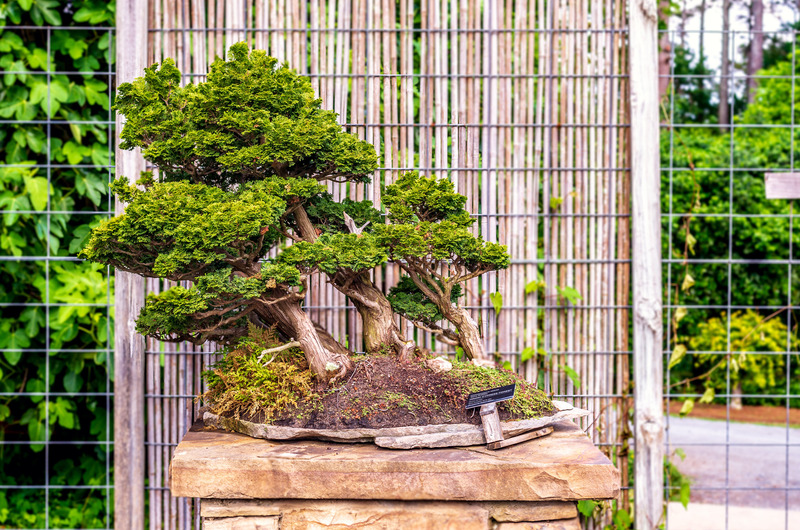 Here, an appreciation of nature may be experienced on a lovely scale. 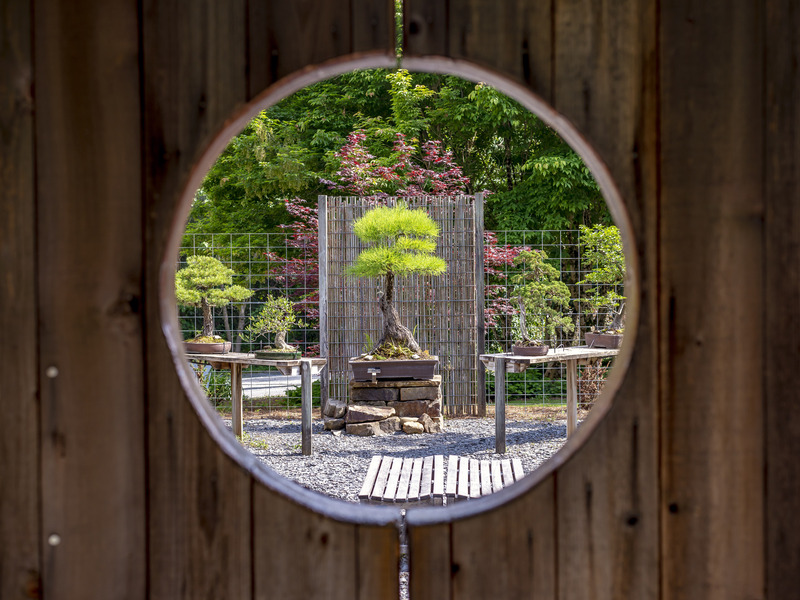 Here, forms are felt as songs. 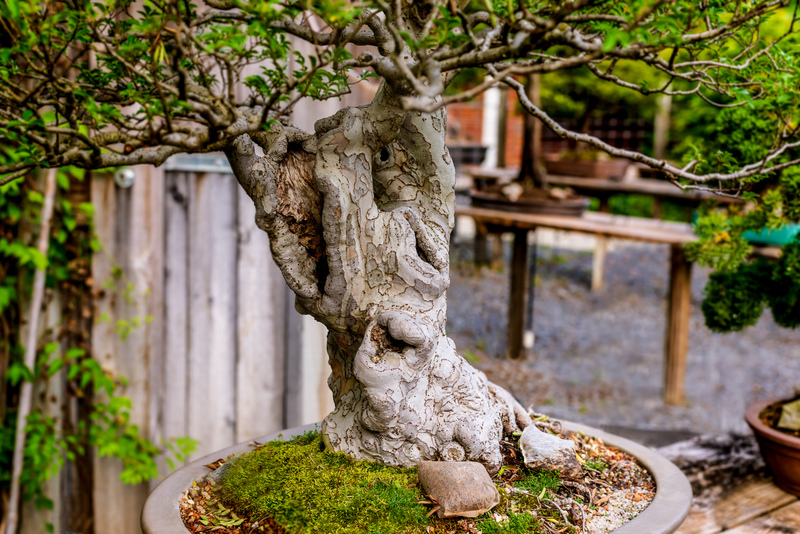 This tree is believed to be over 300 years old!